Aquino credited his agriculture program promoting the more efficient use of irrigation, use of better rice varieties, and expanded upland farming for the improvement in rice yield by 15% and a record harvest for the dry cropping season. Moreover, the growth figures on rice production mentioned in Aquino’s speech – including the supposed all-time high harvest for the dry cropping season – are just based on projections and not on actual records. In his most recent statement to the media (July 27), Agriculture Secretary Proceso Alcala said that, “Palay production in the first half of this year may reach 7.6 million metric tons” and that “this estimated output will put the government about halfway toward achieving its full-year target palay production of 17.46 million tons.” Alcala was quoting the BAS estimates cited in the April 2011 edition of the Rice and Corn Outlook. Lastly, the favorable rice supply in the first half of the year benefited as well from the over-importation of rice by the Arroyo administration in 2010. 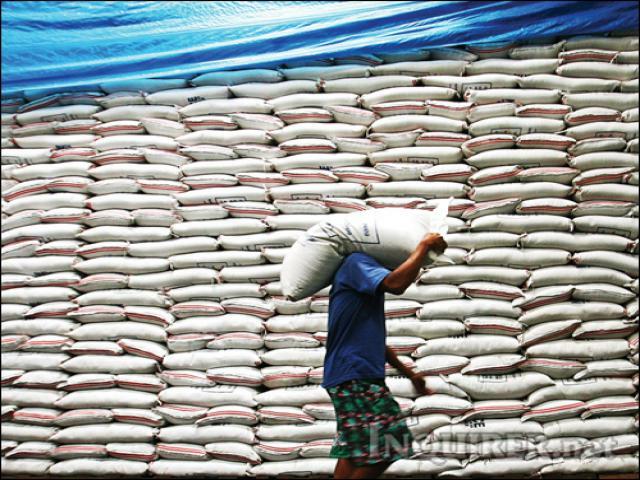 An audit team formed by the National Food Authority (NFA) disclosed that last year, there was an over-quantity of about 0.82 million MT in rice imports. This boosted the buffer supply of the NFA reducing the need for more importation.